St Mary’s Church is grade 2* listed building known locally as the ‘disappearing church’ as it appears to vanish behind the hill as you drive up the A38. 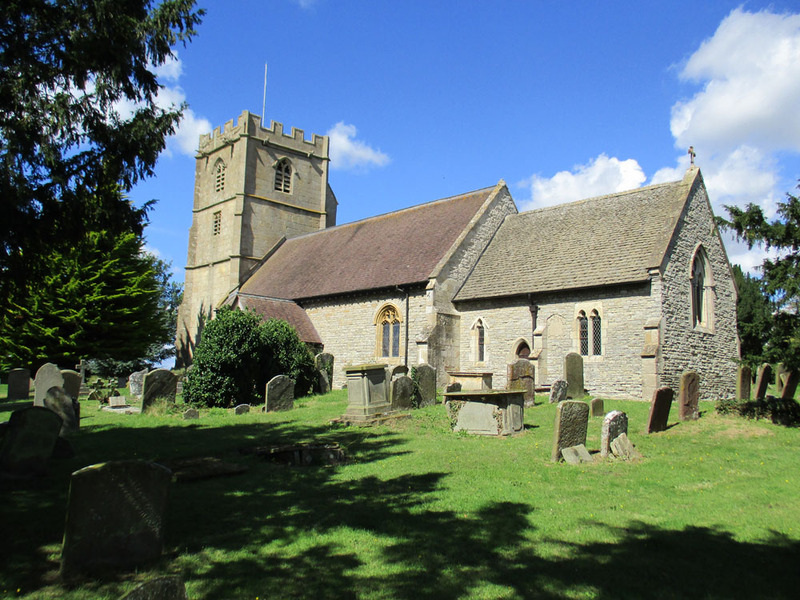 The Church has been completely re-roofed in recent times which not only enhances its appearance but provides us with a wonderful building for services, weddings and special events. It is open every day. There is a united and loyal congregation. There is a service in the Church every Sunday (except on benefice service Sundays). Many members take part in services and get involved in benefice services and initiatives. The church community are planning making improvements to the building, particularly the installation of a toilet. People have worshiped at St Mary’s since at least the 13th century and improved facilities within the Church will enable it to remain a focal point in the community, be an effective place for a wider range of gatherings and a welcoming centre of Christian witness for the years to come. 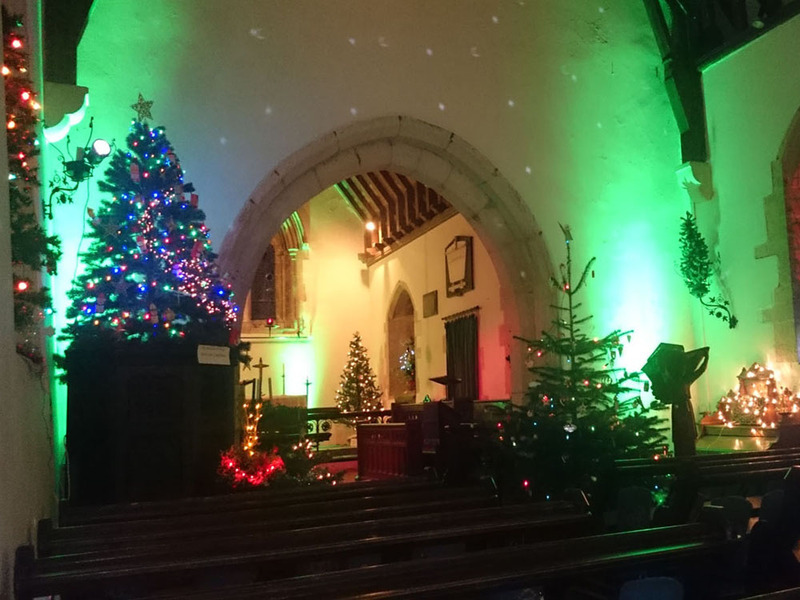 Various fund raising events are organised to support this project, including our annual Festival of Light to coincide with Advent Sunday (middle picture above). 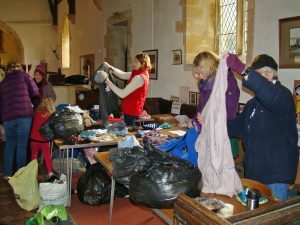 The congregation has instigated and coordinated innovative benefice mission projects, particularly our ‘harvest of tools‘, the benefice links with western Kenya and supporting the work of Send a Cow and Samaras Aid. (The picture above shows us sorting clothes donated by people from the Benefice to be sent to support displaced people in Syria and the Middle East. Click here to find out the amazing story of what happened at our last collection). For those interested in the building, a short history of the church booklet has been written.